A new animated film was announced by Studio Colorido this past week entitiled Taifuu no Noruda (Typhoon Noruda), during their premier of TV series Punchline. The new animated film is set to debut in Japan on June 5th and will remain in theatres for a limited three weeks. 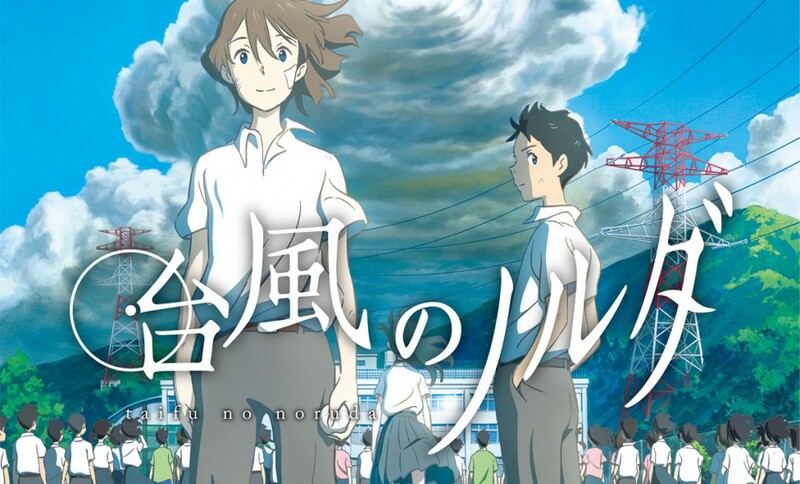 Taifuu no Noruda will be Studio Colorido’s first feature-length film since their development in 2011 and will be directed by former Ghibli animator Yōjirō Arai. Working along side the first time director is Hiroyasu Ishida who will e designing the characters and serving as animation director. Hiroyasu previously directed award-winning shorts such as “Fumiko’s Confession” and “Rain Town”. Masashi Hamauzu (Good Luck Girl!) will be working on composing the music. A few of Studio Colorido’s previous works include a number of short Ona anime, along with two short films released in November 2013 entitled Shashinkan and Hinata no Aoshigure. The film takes place at a middle school during the evening of the culture festival on a small and isolated island. A boy who has been passionate about baseball is entire life has quit playing and has a fight with his best friend. Suddenly they meet a mysterious young girl with red eyes, a huge hits the middle school. You can check out the official website for more upcoming info but in the meantime, check out the 15 second teaser that has been released!